1. Why are Honey Bees So Fascinating? Everyone has seen honey bees flitting from flower to flower, but many people know very little about these fascinating little creatures. I’ve compiled a list of 20 questions that you may have about bees.The answers will help explain phrases like “busy as a bee” and “hive mentality” and will demonstrate the importance of bees to the Earth’s ecosystem. Bee are fascinating because they pollinate many of the fruits and vegetables that humans and other animals depend upon for their food supply. They have a complex social organization with each bee taking on a predetermined role in the hive. 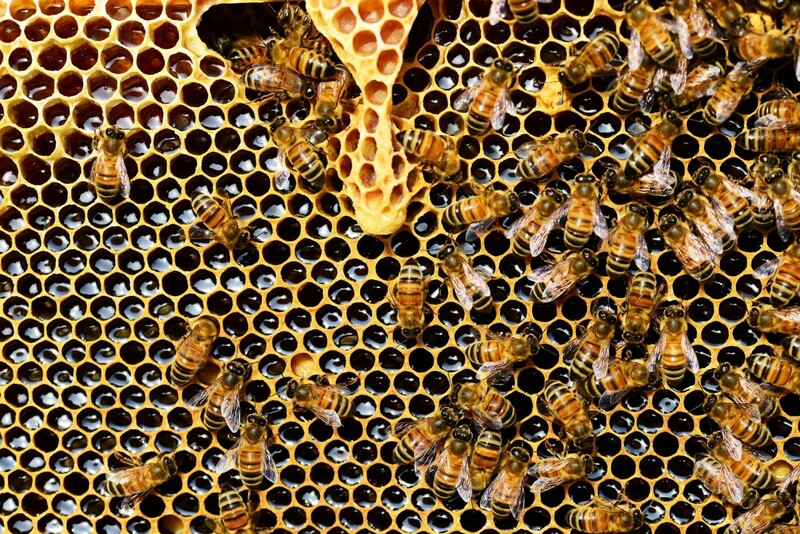 Bees have an intriguing method of communication and a highly-evolved level of cooperation. They are incredibly industrious, working tirelessly to preserve the hive and to produce honey. 2. How Many Species of Honey Bees are There? According to taxonomy, the scientific classification of all life into hierarchical charts, bees belong to the family “Apidae.” There are about 4,000 genera and about 25,000 species of bees. There are seven species of honey bee. The most common honey bee is apis mellifera. Only honey bees make true honey. Bumble bees, carpenter bees, and other types of bees do not make honey, although they may store some nectar as a food reserve. 3. Where do Honey Bees Live? Honey bees originated in South Asia in heavily forested tropical areas. They migrated to Europe and they were brought to the Western hemisphere by the European colonists. Honey bees can be found all over the world with the exception of areas which are extremely cold year round. 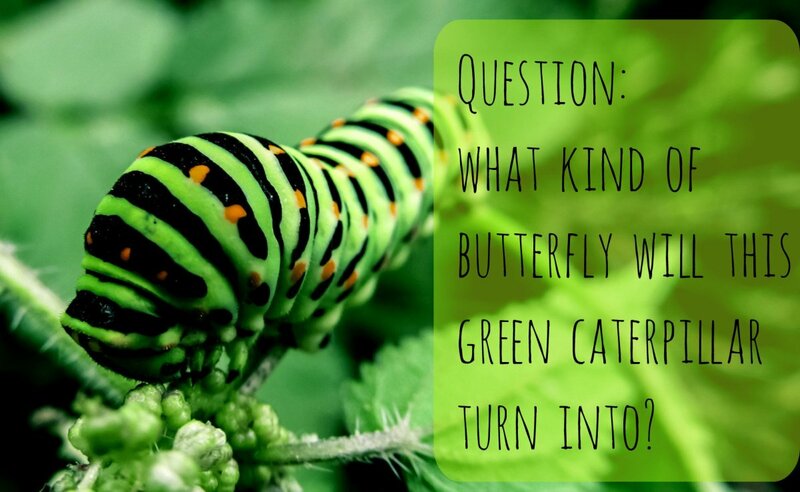 They prefer temperate or tropical climates where flowers are plentiful. Honey bees can be found in gardens, woodlands, orchards, meadows and any other area with lots of flowering plants. In the wild, they usually build their hives in the hollows of trees. Domesticated bees live in a kind of pre-fab beehive, a box prepared by beekeepers. 4. How Many Honey Bees Live in a Hive? A typical hive has from 20,000 to 50,000 bees live in a hive. Some hives have 80,000 or more bees in residence. 5. What is the Life Cycle of a Honey Bee? Honey bees are holometabulous insects. 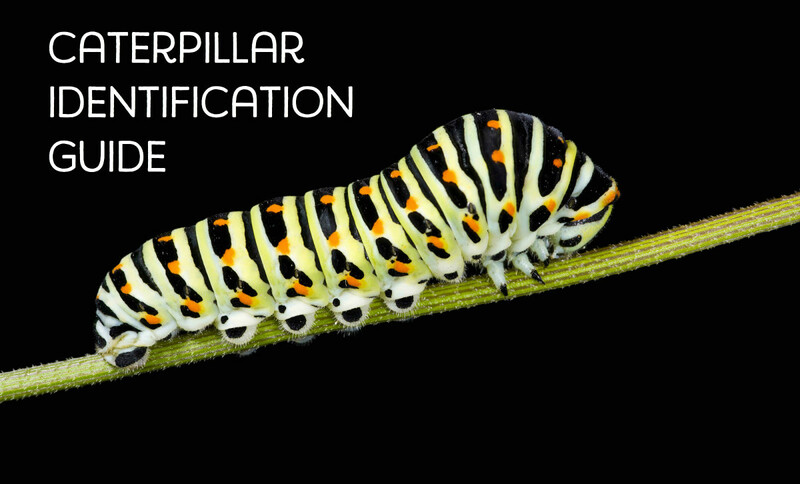 They undergo complete metamorphosis, passing through egg, larval, and pupa (cocoon) stages before emerging from the pupa as an adult bee. Bees in the pre-adult stage are known as the brood. The brood and the newly born adults are tended to and fed by bees specialized for this task. 6. 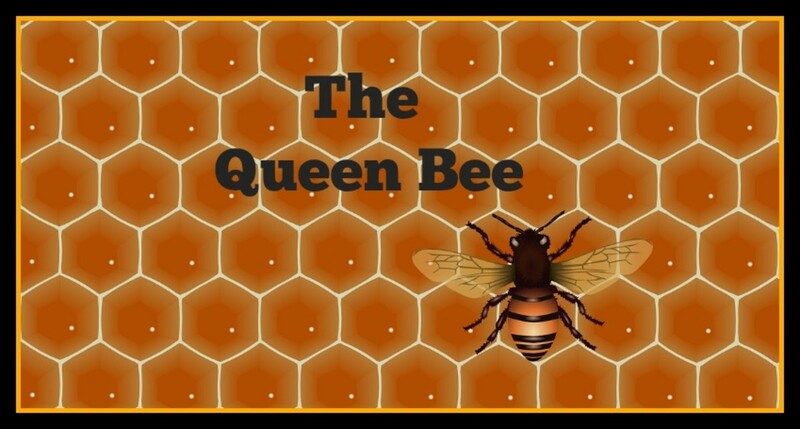 What is a Queen Bee? The queen bee is the mother bee of the hive. She is larger than the other bees and only mates once in her life. 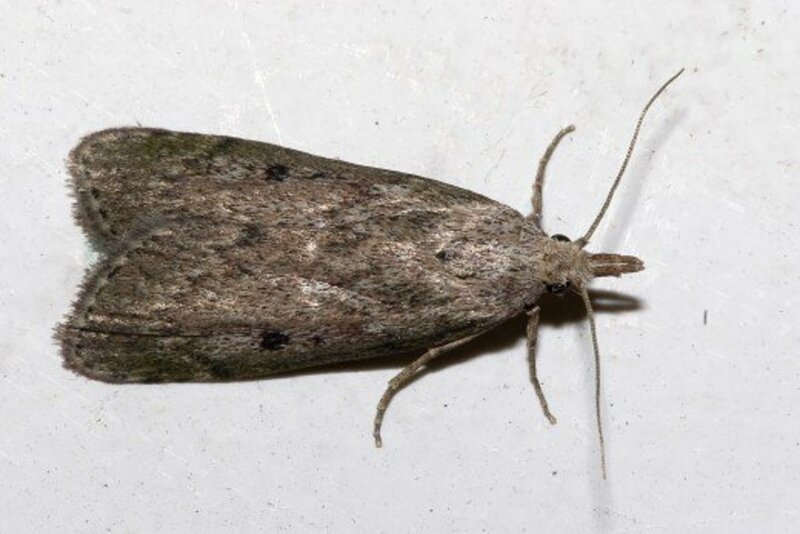 During her nuptial flight, she stores enough sperm from the 10 to 15 drones who mate with her for a life-time of egg laying. She has no other duties than the laying of eggs. She will lay about 1,500 eggs a day in her lifetime. Other bees attend to all her needs. Several queen bees will hatch at one time. They hatch as queens because they have been fed a protein-rich secretion from glands on the heads of young bees known as royal jelly. The newly hatched queens will fight until only one remains. A hive can have only one queen. This is a fascinating book that will delight you as it mixes information about the ways of bees with poetry and history. Everyone who has an interest in bees will enjoy this book from someone who just wants to plant a bee-friendly garden to the most ardent beekeeper. This book is a treasure. 7. What are Worker Bees? Worker bees are female bees born from fertilized eggs. They are smaller than the queen bee. The worker bees have two main jobs. During the first half of their lives they are "hive bees" They tend the queen, tend the brood, or tend to the work of the hive--the making of honeycombs and honey. They also ventilate and defend the hive. During the second half of their lives, they become "field bees" and go out and collect nectar and pollen from flowers. Drones are male bees hatched from unfertilized eggs. They are larger than the female bees and there are only a couple of hundred of them per hive. Their only duty is to hope to be one of the few drones that get to fertilize the queen. If food is in short supply, the worker bees will evict the drones from the hive. A queen honey bee lives about three to four years. A worker honey bee lives for six to seven weeks. A drone lives about four weeks or for as long as four months. Drones that mate with the queen die immediately after mating. 10. 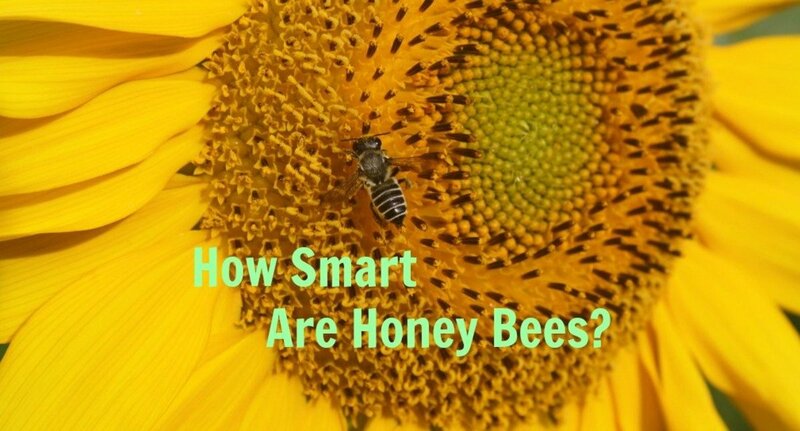 How do Honey Bees Communicate? If the flowers are within 30 yards, the bee will do a “round dance,” flying in a circle in one direction and then the other. This dance tells the other bees that the flowers are nearby. If the source is more than 30 yards away, the bee does a “waggle dance.” The motions of the dance are a type of code to tell the other bees where the food source is. 11. How Do Honey Bees Make the Honeycombs? The youngest worker bees make the beeswax used to construct the honeycomb. The wax is produced in eight paired glands on the underside of the abdomen. They secrete little wax droplets, which harden into flakes when exposed to air. The bees then work the wax flakes in their mouths to soften them into a workable construction material for the honey combs. They create hexagon-shaped cells. Some of these cells are used to house the queen and the brood, and some are used to prepare and store the honey. 12. How Do Bees Make Honey? The worker bees sip nectar from flowers with their proboscis, a straw-like tube that rolled up within the mouth and extended to sip nectar. They store this nectar in a special stomach called a "honey stomach." When the honey stomach is full, they return to the hive and disgorge the nectar into the honeycomb cells. The nectar is allowed to partially evaporate, and when it is sufficiently concentrated, the hive bees cap each honeycomb cell with wax to store the honey. The honey is stored to provide a food source for the bees in winter. 13. How Much Honey Does a Hive Produce? 14. How Much Honey Does a Honey Bee Produce in Her Lifetime? A worker honey bee collects enough nectar in her lifetime to produce just 1/12 of a teaspoon of honey. 15. What is Bee Bread’? In addition to honey, the hive bees also make “bee bread” to feed the hive. When the honey bee is out collecting nectar, she also collects some pollen which is put into the "pollen baskets" on her hind legs. The pollen is brought back to the hive and mixed with nectar to form bee bread. This is also stored in the honeycombs. It provides protein for the bees. 16. How Do Honey Bees Pollinate Flowers? When a honey bee alights upon a male flower to obtain nectar, some of the pollen from the flower’s stamens adheres to her legs and body. When she lands on a female flower, a bit of the pollen may rub off on the second flower, fertilizing it. 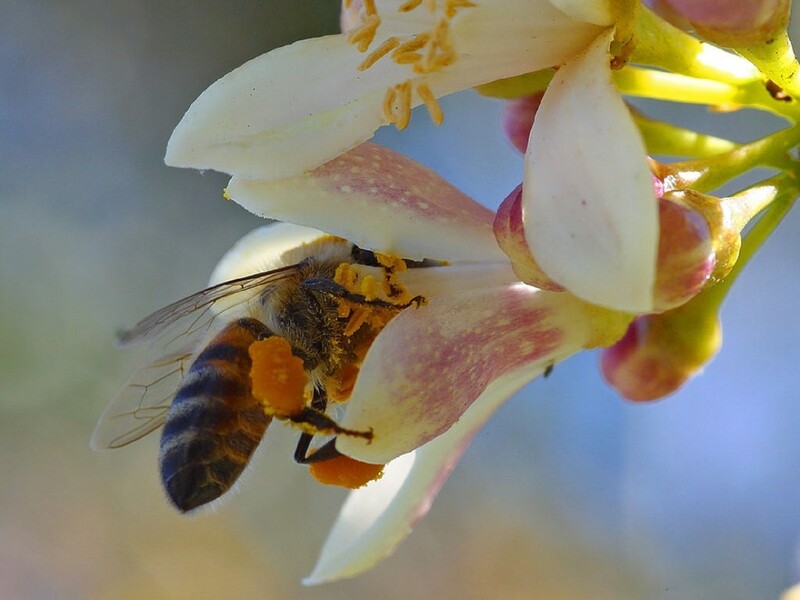 Honey bees are very important to the ecosystem because they are the primary way of fertilizing the female flowers so they can grow into a fruit, vegetable, or nut. 17. How Fast do Honey Bees Fly? A honey bee can fly between 12 and 20 miles per hour. She can fly faster when she is not laden down with honey and pollen. 18. How Many Miles Does a Honey Bee Fly During Her Lifetime? 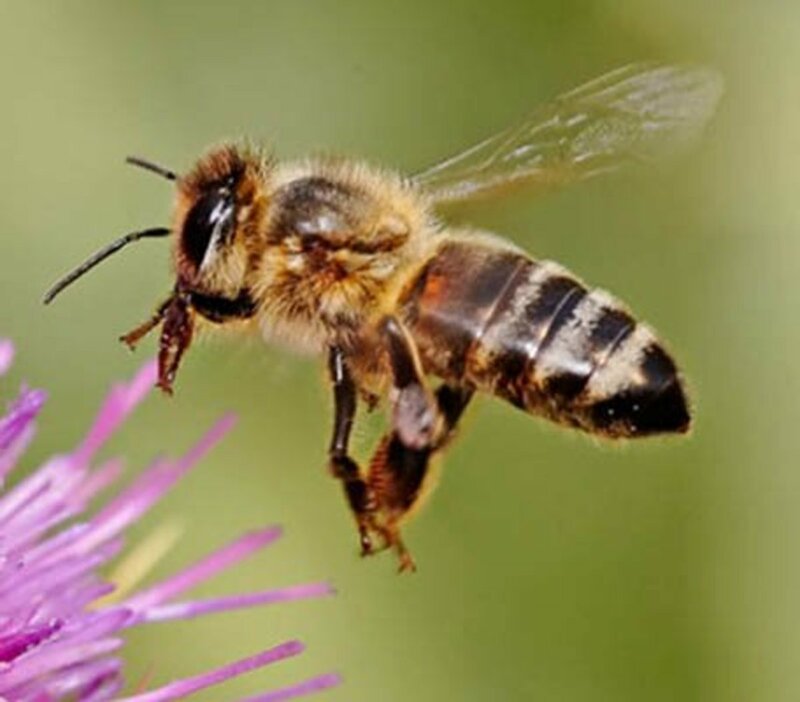 A honey bee can fly up to 500 miles during her lifetime. A bee may make up to 30 trips per day to collect nectar. It takes about 55,000 miles of flight to collect enough nectar to make a pound of honey. Bees will only fly as far as they need to, but may fly as far as 5 to 10 miles from the hive. 19. Do Honey Bees Sting? Yes, worker bees can sting, and the sting can be painful. (The drones do not have a stinger.) If a bee uses her stinger, she will die shortly afterwards. Queen bees can also sting and they sting multiple times. Not to worry--queen bees seldom leave the hive. It is highly unlikely that you will die from a bee sting. If you are stung, use a fingernail or the edge of a credit card to scrape the stinger out. If you try to squeeze it out, you may cause more venom from the venom pouch to be released into the skin. 20. What is Colony Collapse Disorder? Starting in 2006, beekeepers in North America began to notice the disappearance of entire colonies of bees. This sudden disappearance of bee colonies became known as colony collapse disorder (CCD). The cause is unknown, although there are many theories. The most commonly suspected causes are climate change, pesticide and herbicideuse, parasites, pathogens, environmental toxins, genetically modified crops, and even electro-magnetic radiation (from cell phones). Never allow infants under the age of 1 or people with immune system deficiencies to eat honey because of the possibility of botulism spores in the honey. Healthy people over the age of one will not be harmed by these spores. What plants attract honey bees, especially in cold areas? 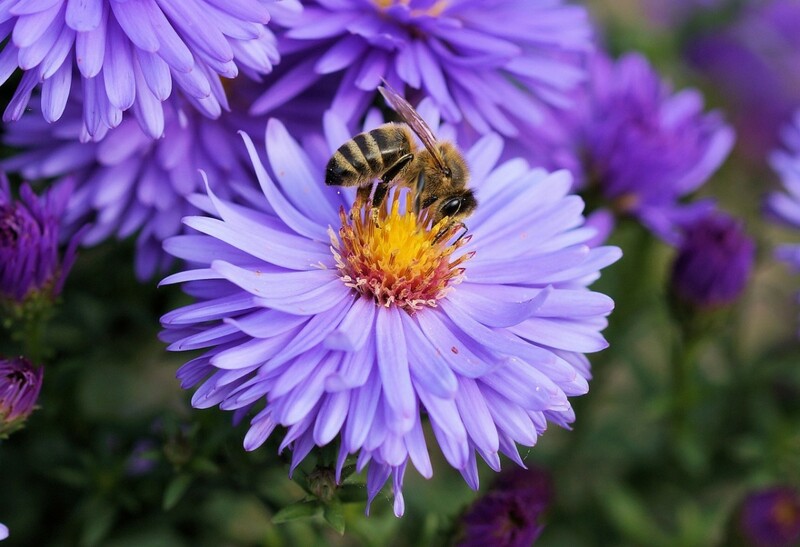 Bees seem to have a few favorite colors--they prefer flowers that are yellow, white, purple, or blue. They also prefer flowers with ultra-violet markings. (Bees can see in the ultra-violet spectrum, but humans can not.) Bees are also more attracted to flowers that have a mixture of several colors rather than just one color. If you want to plant a bee-friendly garden, you can plant flowers or herbs. Bees like flowers that have a strong scent, so if it has a perfume-like smell to you, the bee will probably like it. Here are a few of the flowers that bees particularly like: sunflower, calendula, lilacs, wisteria, snap-dragons, poppies, black-eyed susan, lantana, and many more. Here are some commonly grown flowers for colder climates that honey bees love: aster, coneflowers, delphiniums, alyssum, rhododendrons, and others. Here are a few common herbs that you can buy in most stores that sell plants that honeybees seem to particularly like: chives, mint, oregano, lavender, rosemary, sage, and thyme. My neighbor has a hive in my yard. These bees will not leave us alone. If you walk away, they will follow. Is this normal behavior for bees? I don't think bees are very interested in people. Perhaps they are attracted to you because you smell sweet. Perhaps it is your perfume, or shampoo, or even your deodorant. Perhaps you got some jam on your fingers. It is also possible that the bees are not following you at all; you may be standing between them and some flowers that hold the nectar they are seeking. Stay away from the hive and ignore the bees. The bees will not sting you unless they feel threatened or if they feel the hive is threatened. I'm glad you enjoyed this essay about honeybees. YOU ARE FANTASIC AND THANK YOU FOR THE INFORMATION. DD coco; I'm with you. Honey bees are magnificent little creatures. Al: It is so nice to hear that you found my article useful. There are lots of Giordanos. I don't know if I am related to the ones you know. My family is from NYC. I enjoyed your blog immensely. I am in the health/supplement business and learned a great of knowledge from all your educational facts. Thank you for educating me to pass this knowledge to my customers. I was brought up with the Giordano family in upstate NY? Any relatives there? Holly Compton: A honey be can carry about 85mg of nectar when she returns to the hive. This is 85% of her body weight which is about 100mg (150th of an ounce). How much neater can a bee collect? Great hub! ☺ Keep it up. cam8510 I'm glad I inspired you to write about bees. I will check it out. have you see the animated film "Bee Movie." So cute and lots of bee facts are part of the story. I can't claim to have inspired that one. Catherine, I read your hub a couple of days ago and really enjoyed it. I kept thinking about those poor drones and decided to write a flash fiction story about them. It's on my profile now. Just wanted you to know you inspired a story. I will look into those hubs soon, Catherine. Thanks a lot for referring. See my hubs "A BeeKeepers Life" and "What is Killing the Honey Bees?" I think you will enjoy them. Many people enjoy being a backyard beekeeper. Very informative article on bees! I respect these pollinators and am saddened at their reduction in numbers that is happening at an alarming rate. At one time, I also considered farming with honey bees on the side for production of honey. Devyn Herron: I have beekeeper friends and I have done a lot of study on the topic. I hope you have enjoyed my bee posts. You seem to know a lot about bees! lyoness13: Bees are the most complex fascinating creatures. Look at the "More by Author" for my four other hubs about the lives of honey bees and why I find them fascinating. Thank you for your comment. Beautiful hub. I have always found bees scary, but absolutely fascinating. There is nothing better than a fresh honeycomb in the summer, either. Magical creatures- I just don't ever want to be stung by one again! Thanks Scott for your comment. If I got something wrong, please let me know, and if it checks out, I will fix it. I'd like it to be perfect. nicely done, with very few misleading or inaccurate statements.. needs a little polish and then it will be perfect! Buzz "N" Bee Apiaries: Thank you for your comment on my post about bees. I'm glad you found it useful and interesting. A very nice link for folks who are interested in the bee society and the functions of each bee 's stage in life. Was alarmed to see a link to "Extermination Services" on this page. Honeybees should never ever be exterminated! Thank you PinoyMom: I'm glad I was able to provide this valuable information about honey being possibly harmful to children under the age of one due to their immature immune system. It is a nutritious food for everyone else. I never thought that honeybee could be harmful for kids below one year old. Thank you for your informative hub. Thanks Chit for your vote. I'm glad you enjoyed learning about these marvelous little creatures--the bees. The more I learn about them, the more in awe of them I become. Very interesting and useful information shared by you about Honey Bees! I am always curious about these wonderful creatures. Thanks for satisfying my curiosity. Voted up! Thanks teaches. I appreciate your comment. I'm glad I was able to give you new information. I learned new things myself when I researched it. I learned new facts about bees from reading your post. I didn't realize they lived such short lives, except for the queen. Never thought a bee could fly so fast! Thanks for the education. Thank you for your comment. I am more and more in awe of honey bees. Their biology, their social complexity, and their importance to all life on earth. 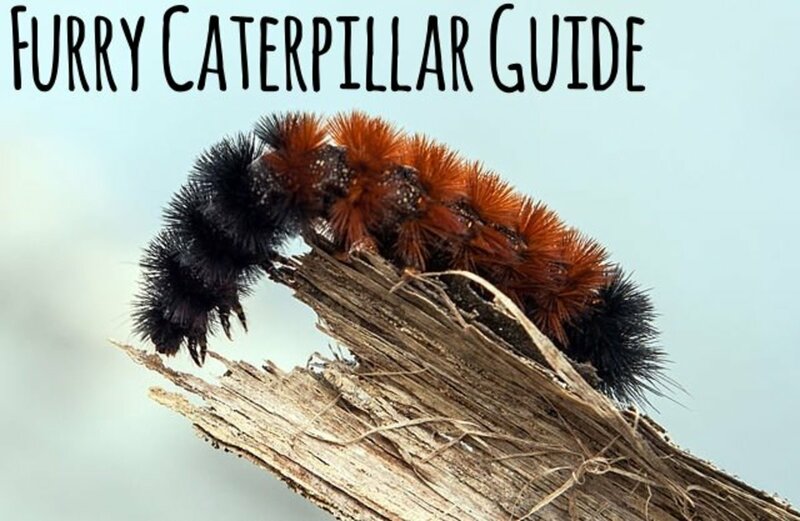 Thanks for sharing the useful and interesting information about this very important insect. Thank you for commenting. I'm glad I could help with info. I came across the term "bee bread" and I didn't know what it was until I researched it.